Grande Prairie is applying for provincial funding to run a rural bus pilot project that would connect the city to towns and villages in a 50-kilometre radius. People living within 50 kilometres of Grande Prairie could soon travel to the city by transit bus, under a provincial pilot project for rural routes. The city is one of six municipalities in the County of Grande Prairie applying for money from the province to run the project, which is meant to connect towns and villages to resources in larger urban centres. Under the rural transportation pilot program, the province would cover up to $350,000 for operating costs, such as fuel and drivers. The municipalities involved are responsible for providing the buses. 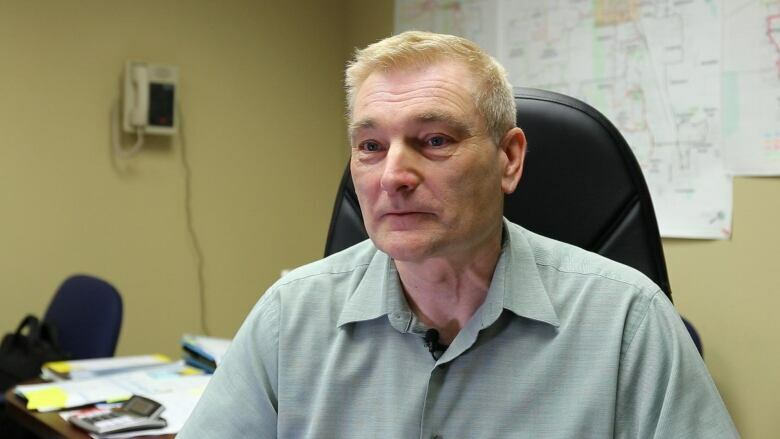 Grande Prairie has at least one bus available to drive rural routes, said assistant transit manager Steve Harvard. "It's a great benefit for a lot of these communities," Harvard said. "Some of them currently have very little transportation links to the city." If approved, the two-year pilot project would include routes from Grande Prairie to Sexsmith, Clairmont, Hythe, Beaverlodge and Wembley. The municipalities involved would monitor the popularity of each route over two years before deciding whether to continue the service independently once provincial funding ends. "This is a great kickoff, if you will, with the pilot project to actually see how this service is going to look like," Harvard said. "The county as well as the city are very excited about this opportunity." The project is a lifeline for people who can't drive but need access to services only available in Grande Prairie, said Greg Gayton, chief administrative officer of Hythe. The village of more than 800 people is about 60 kilometres northwest of Grande Prairie, near the B.C.-Alberta border. About 20 per cent of people living in Hythe are too young to drive, according to 2016 census data. Another 40 per cent are 65 or older. Many of the village's elderly citizens rely on the hospital in Grande Prairie for medical services, Gayton said. The local seniors care home offers a volunteer-run bus service to the city once a week, but it struggles to keep up with demand, he said. "It's kind of grown faster than the present capacity is there, so certainly we're willing to look at something that might improve it," Gayton said. Grande Prairie and its partners in the project are in the first phase of the application, which involves writing letters of support to the province. The application is due March 26. Harvard said he expects a response from the province by April, pending which the routes will be confirmed.